If you aren't excited about Houdini 17 Banshee yet, these 6 reasons will get you there! 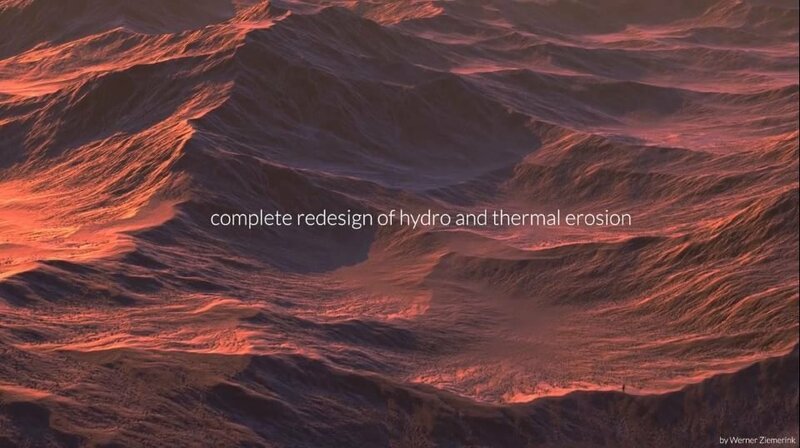 SideFX recently dropped the latest version of their amazing procedural VFX software, Houdini. We recently wrote about why VFX artists should learn Houdini, so to see all the new features they’re continuing to add as Houdini evolves is very exciting for the VFX industry. 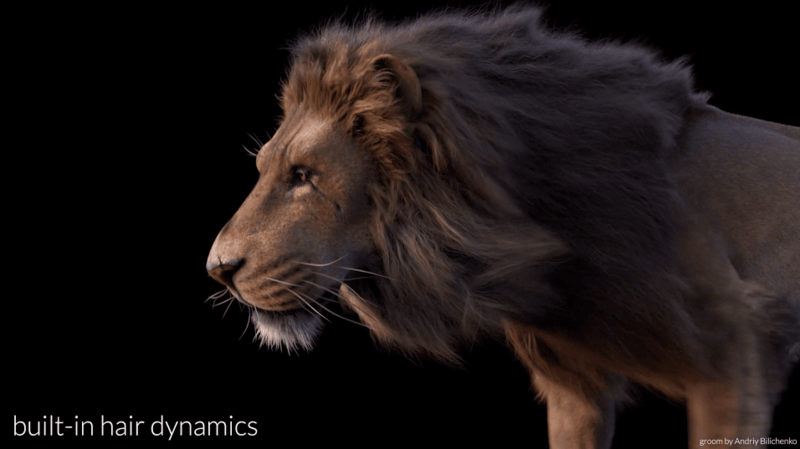 Houdini has always been a great tool for generating realistic hair, but Houdini 17 Banshee added drastic improvements, like five times faster grooming performance, faster guide processing, hair generation, fractal clumping, and recursive sub-clumping, as well as built-in hair dynamics. The coding optimization should also theoretically allow for smoother procedural operations like grass and foliage generation. The level of hair detail now available in Houdini 17 Banshee is nothing short of exceptional. Just check out this lion’s mane! Enjoy faster and more organic production with new full body IK for character posing and crowds. Full body IK allows for much more natural and intuitive posing, allowing you to make adjustments to the entire body at once, rather than one limb or feature at a time. 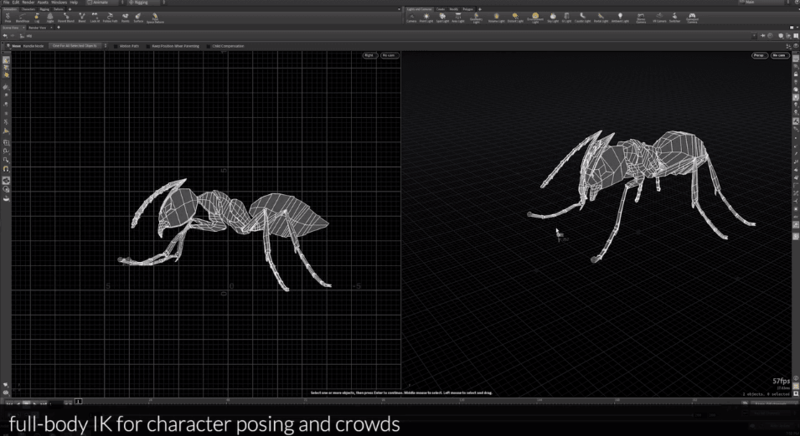 That, coupled with the fact that you can now use full body IK for positioning and animating crowds is incredible. Working with a CG army of robots or ants has never been easier! Speaking of working with crowds, you can also manipulate vellum effects for crowds, and with the vellum multi-solver, you can even incorporate parameters like glue and tearing into your VFX. 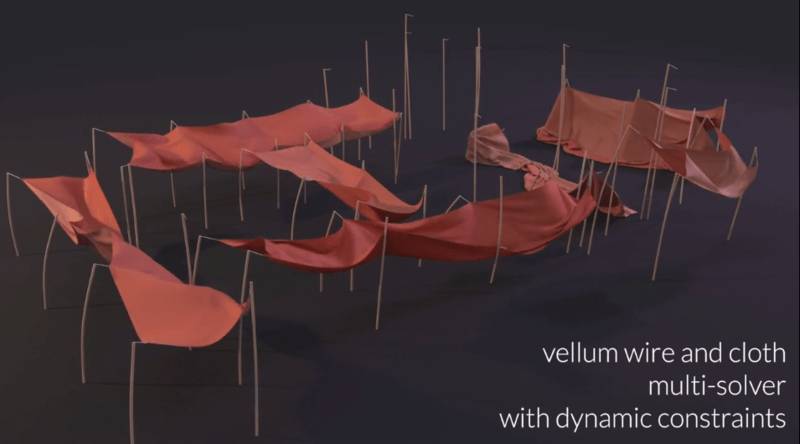 The vellum multi-solver also offers some impressive dynamic constraints for wire and cloth visual effects. These are perfect for simulating effects from explosions, impacts, landing spaceships, and more. Of course at ActionVFX, we’re suckers for awesome destruction effects. Demolition VFX enthusiasts can rejoice at the technological strides made in Houdini 17 Banshee, because destroying stuff is easier than ever. 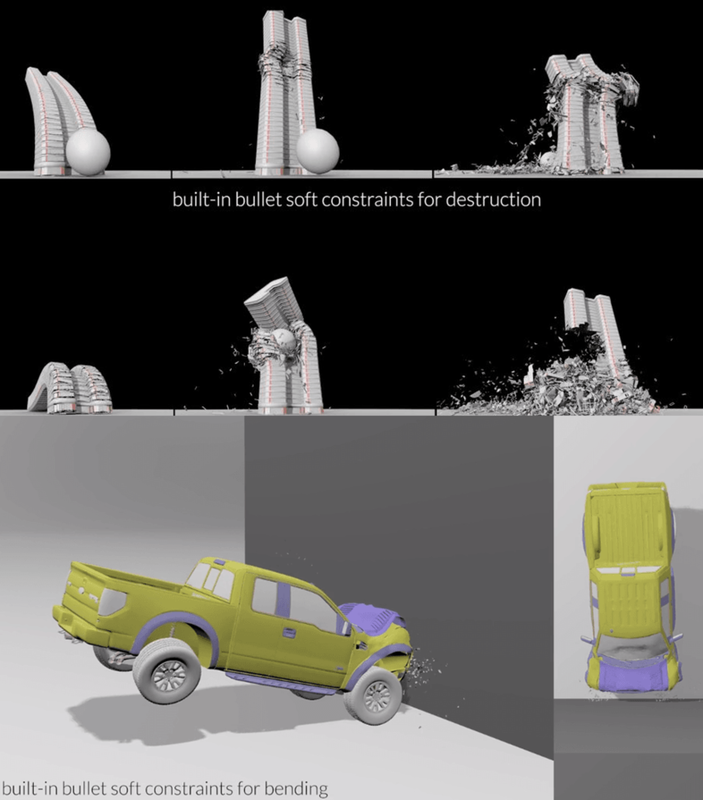 Bullet soft constraints for bending allow you to realistically deform models based on environmental physics and collision detection. Bullet soft constraints for destruction enable you to easily create epic VFX havoc on a massive scale, like these crumbling buildings. 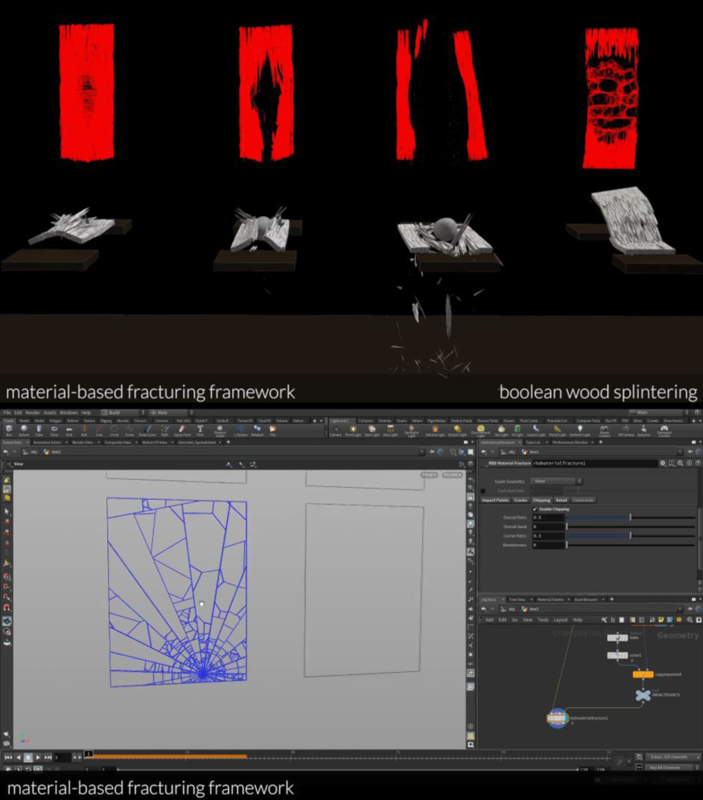 You can splinter wood, change patterns of glass fractures, and more in Houdini 17 Banshee. There are other programs out there that of course can accomplish similar tasks, but the real draw of Houdini is how easy the program makes it to interact with your visual effects as naturally as possible. They also have redesigned hydro and thermal erosion tools for even better results. In addition to all these great features in Houdini 17 Banshee, you’ll also find a lot of modeling tools, such as facial autorigging, pose-space deformation, a new UV seam operator with autoseam detection, a brand new UV layout editor, and more. There’s also the inclusion of Nvidia’s Optix Denoiser for both faster and higher-quality rendering, an overhauled white water solver, new pyro effects like openVDB sourcing with built-in color advection, and much more. To see all these great features in action, check out the video below! Houdini 17 Banshee - Sneak Peek from SideFX Houdini on Vimeo. 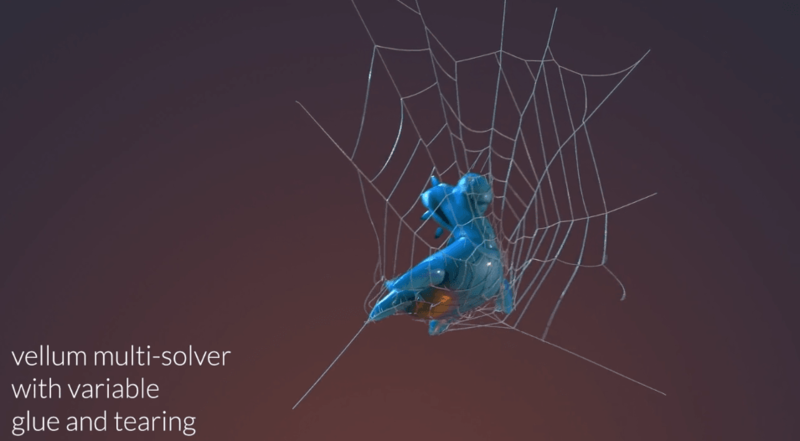 If you’re new to Houdini, now is a great time to jump in. Download Houdini Apprentice for free today to start making amazing procedural VFX!